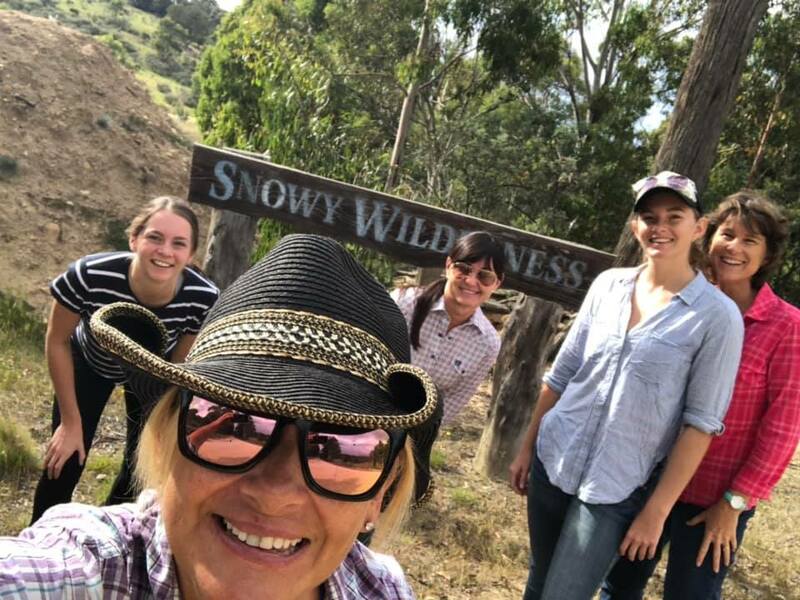 The ‘Wild Women’ of Snowy Mountain River Wilderness are back to tell the story and our butts did just fine! We booted up and met our horses… I was on ‘Fast Eddy’… and Eddy and I got on great. 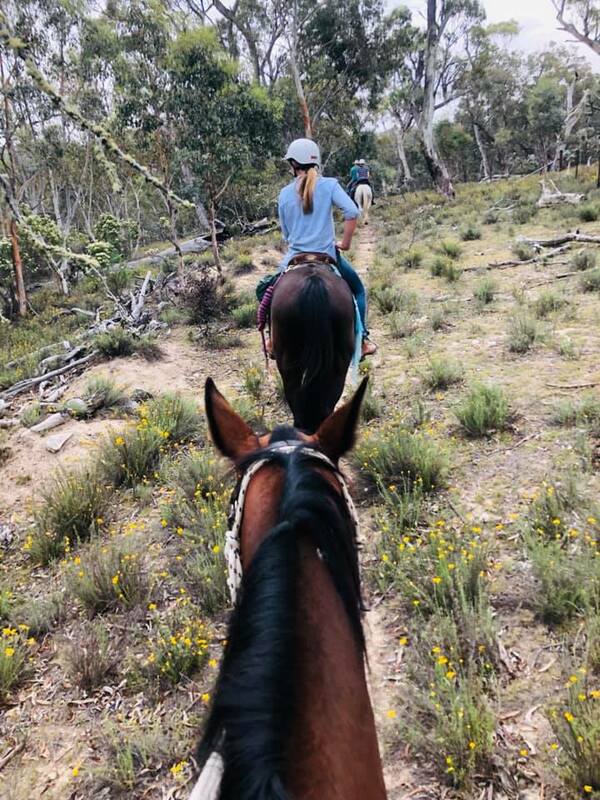 We saddled up and with a few tips for doing the hills of the Snowy Mountains on horses off we went. Over the next couple of days there would be encounters with wild brumbies… one would even create a stir as it charged at us to move us along… there would be open plains, stunning scenery and creek crossings… we would lean back in our saddles to do steep descents and then forward and up for the steep ascents… there was going through bush… bush bashing they called it, where you where dodging and weaving trees with your horse, your hands and your head… that was such fun… stunning views and misty mornings greeted us every day. 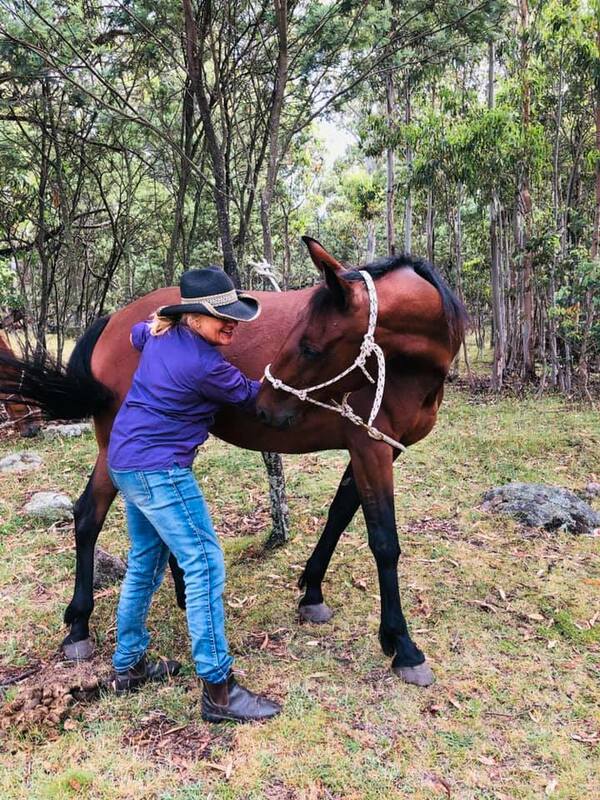 We had times where got a giddy up and into a trot and then into a canter and manage to stay on board my horse, although my style was not one of grace! We got to know each other horses and their personalities which was all part of the fun. Around the camp fire we told stories, laughed, sang, danced and enjoyed camp oven cooking by our hosts. One night a storm rolled in and we enjoyed the sound of the rain on the tin roof as we tucked ourselves up in our swags. Not a lot of photos of the ride because we were so focused on hanging on and going with the horse or taking control of the horse and just being right in the moment where we were and finding the rhythm and the flow of the moment of bliss or the challenge we were in and there is a life lesson right there in that. A great adventure for sure.. and the big surprise was that our soul got a bigger workout than our butts!